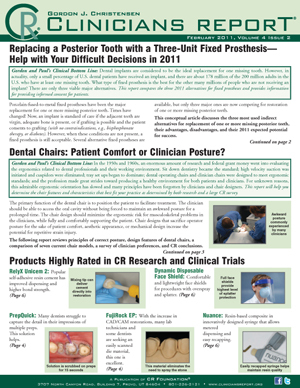 Dental Chairs: Patient Comfort or Clinicians Posture? Dental Chairs: Patient Comfort or Clinician Posture? • Many Dentists Struggle to Capture Detail in Multiple Prep Impressions—This Solution Helps!